Trainer Chris Waller is happy with what he has seen so far from new acquisitions to the stable. 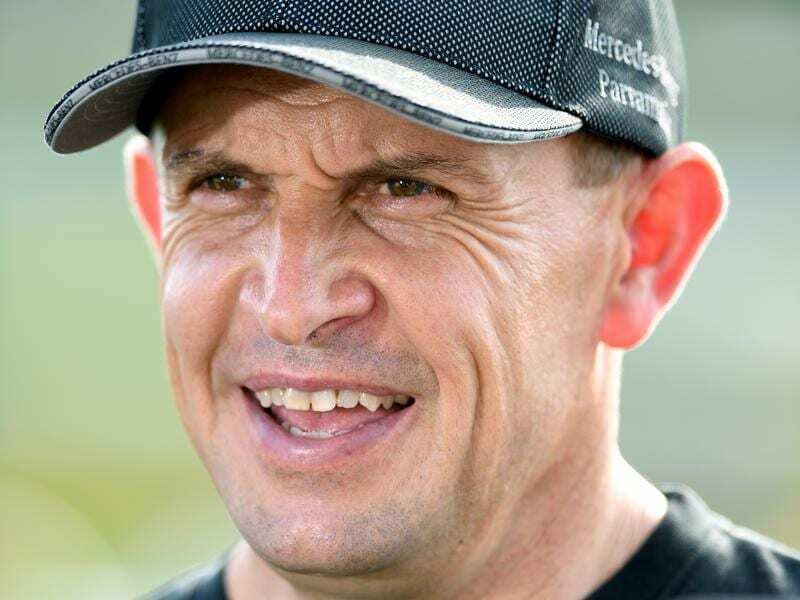 Champion trainer Chris Waller is still getting to know his stable’s recent additions but says Nature Strip, Ringerdingding and Hulk have importantly settled in well ahead of their first starts for him on C F Orr Stakes day. The trio are among the horses who have been sent to Waller by their respective owners in the fall-out from the disqualification of trainer Darren Weir on charges relating to illegal electronic devices in his possession. Boom sprinter Nature Strip is odds-on favourite for Saturday’s Group Two Rubiton Stakes (1100m) at Caulfield while Sandown Guineas winner Ringerdingding is among the main chances in the Group Two Autumn Stakes (1400m). “Both horses arrived in very good condition, sound and have great attitudes so that was good,” Waller said. Nature Strip has been with Waller for about a week and was taken to Moonee Valley for a pleasing gallop on Monday with his regular jockey Damian Lane able to provide valuable feedback. “Damian was rapt,” Waller said. “It was good to see him relax and do things right. Waller said Australian Guineas-bound Ringerdingding arrived at his stable after having a jump-out at Terang on Monday. “Ringerdingding is carrying a bit of condition,” he said. “I’ve spoken to the Weir stable and they thought that he would basically improve with the run. Two-year-old Hulk was second to Lankan Star on debut at The Valley on January 25 and will be on trial for the Group One Blue Diamond when makes his debut for Waller in Saturday’s Blue Diamond Prelude for colts and geldings. “He’s a lovely strong two-year-old,” Waller said. “His first-up run was good. He’s drawn well and should run well. “He would have to run in the first two to get into the Blue Diamond and to be good enough to run in the race but he looks like a nice horse and he’s settled in really well.